It's 2150. The Earth's recovering from the Great Apocalypse of 1906. 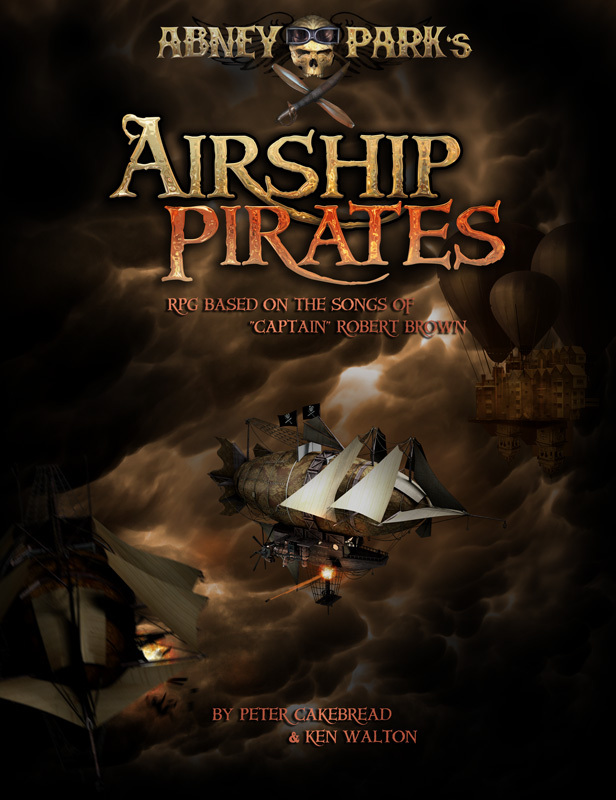 From the steampunk sky-cities of Isla Aether and High Tortuga come the airship pirates. You hoiste the Jolly Roger, spin your propellers and take to the skies. Yours is a life of adventure, plunder and infamy. The American wilderness lies below. Beast-haunted wastelands are criss-crossed by the tracks of the freedom-loving Neobedouins. Armoured railroads connect the Emperor's widely scattered domains. In the walled, fog-shrouded cities, people huddle in forced Victorian squalor, lorder ov er by the upper classes. The Emperror's clockwork policemen patrol the streets and the ultimate threat of the Change Cage hangs over those who would rebel. Rising from the dockyards, the frigates of the Imperial Air Navy patrol the clouds, hunting pirates and threatening the sky-cities. You've got an airship. You've got a crew. You've got one of Doctor Calgori's fancy chrononautilus devices. All you need now is a good swig of rum (trust us, you'll need it), and you're ready to set sail on the winds of time and plunder history itself! Who knows, maybe you'll even screw up the timeline some more? We're the terror of the skies but a danger to ourselves.